Today is the last day of the final exams, I hope everybody is doing well! Now, I'm (Hande) on my way to Brussels and Asude caught flu, resting at home. It has been a fruitful semester. We ate a lot, we discussed a lot about the food in campus. I hope you enjoyed reading our blog. Now, it is time to say goodbye... Forever? or maybe till next semester! We always find interesting the idea of two restaurants in the same building. It makes a real competition. If you follow our blog and listen to our interview with Bilgastro, you've already known that Bilkenters' favourite two restaurants are Speed and Kıraç, and suprisingly they're under the same roof. We went there and talked with customers as well as the managers (except Speed restaurant's manager - he was too busy to interview with us for even 10 minutes). Our main purpose to write this blog is to discuss the food in campus and the picture above shows that we've reached our goal! 1) Is there any meal left in my card? 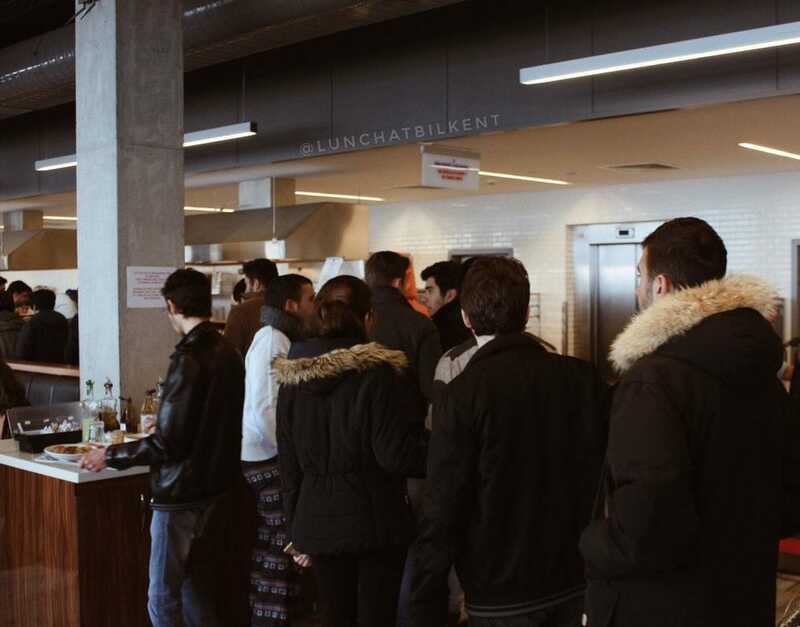 Since late november, it's no longer possible for Bilkenters to purchase meal in Marmara. You should do that online on stars with your credit card. Therefore, it's a new question on Bilkenters's mind. 2) How many meatballs will I get this time? We assure you no more than three. Stop looking at lady's face with a sad expression. Because, even if she accidentally puts 4 meatballs, she will eventually take it back. 3) How much calories will it cost me? Too much. It always goes up to approximately 1000 calories for each fix menu. Last week, Hande ate Mantı, Börek and Cake together. She didn't abstain from eating bread. She is now gillion pounds. We wanted to share the things that come to our minds in Marmara and have a little fun with you guys. 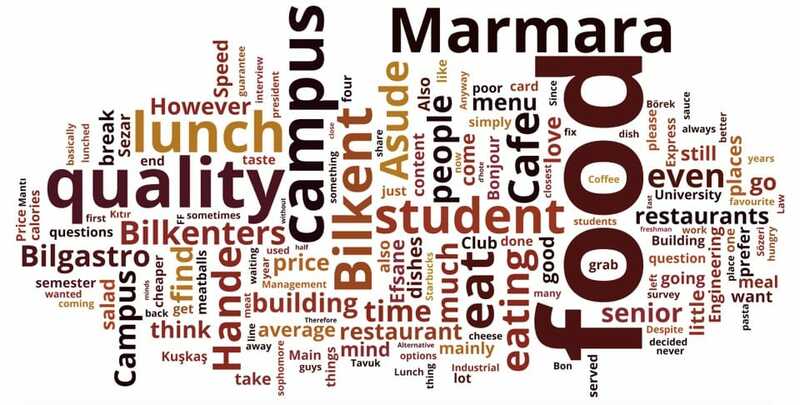 Despite these questions and their well-known answers, people still content with eating in Marmara and find the food quality average according to our little survey. The price is basically the main reason why Bilkenters decide to eat there. Anyway, if there are more questions that come to your mind, we'd love to hear them! We're coming to the end of this semester. So, we've a lot to do: exams, assignments, presentations... They piled up. We don't even have time to lunch. If you're in the same situation as we are, here are four places that you can grab your lunch without losing your precious time. 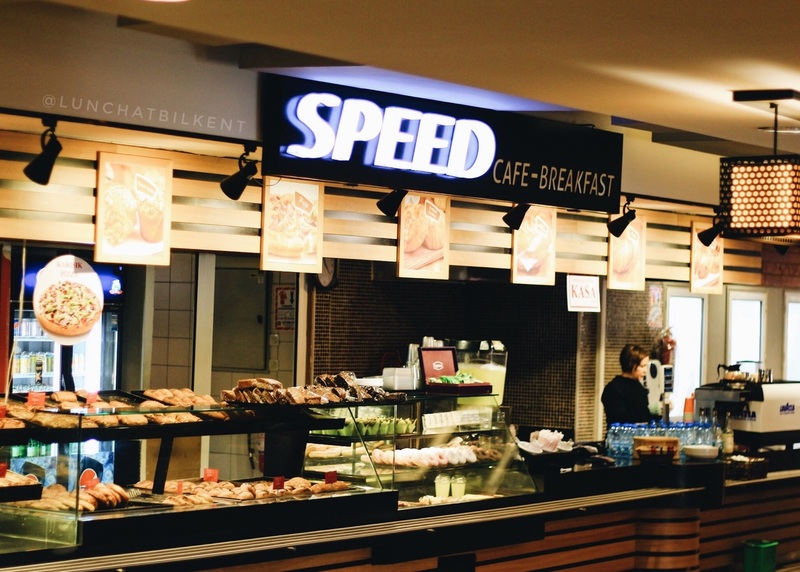 If you're close to FF building, Speed Cafe is a minute away to you. 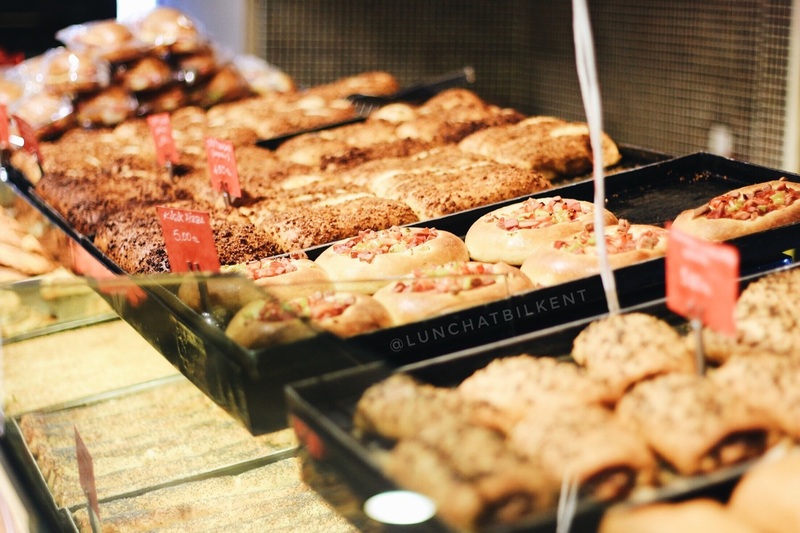 You can find there mainly pastry . However, we can't guarantee you a friendly service, but it's better than nothing. We lunched at Express Cafe on today's break and had a chat with Alican and Bilgesu from Bilgastro Club. We mainly talked about the restaurants, the food quality in the campus and learnt their favourite places to lunch in campus just for you! Listen to our interview from here and for non-turkish speakers, please find the english transcript from down below. This lunch break, we were at Marmara Restaurant. According to us, the food here is "joke" food. What we mean by that is even if we eat a lot, to the fullest, in max. 2 hours, we get starving. Moreover, we're not content with the quality of the food. 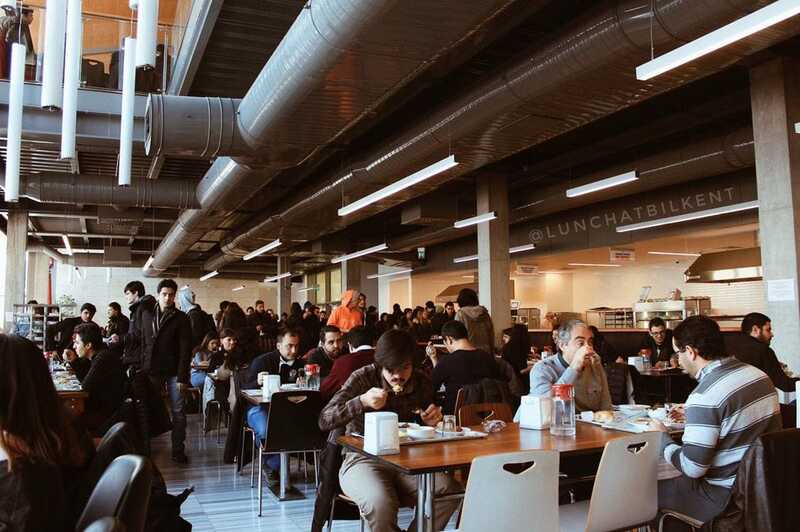 However, as much as we are not the biggest fans of the food in Marmara, we're students in the end and the food here is cheaper than any restaurant in campus. That's for sure. But, we wondered if everybody thinks like us. So, we carried out a project. 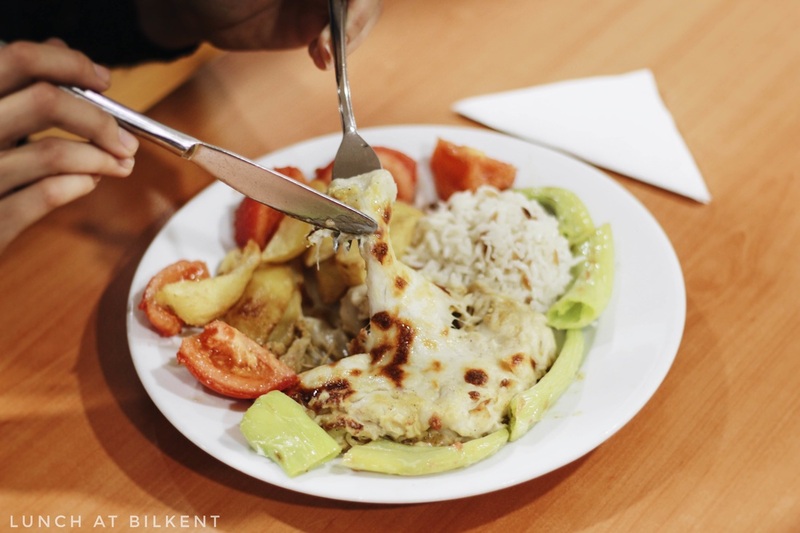 We asked people what they think about the food served in Marmara. And, we tried to capture their facial expressions upon our question. We're back from lunch! Mmm... delicieux. Students tend to make everything legendary, whether it is a course, or a professor. 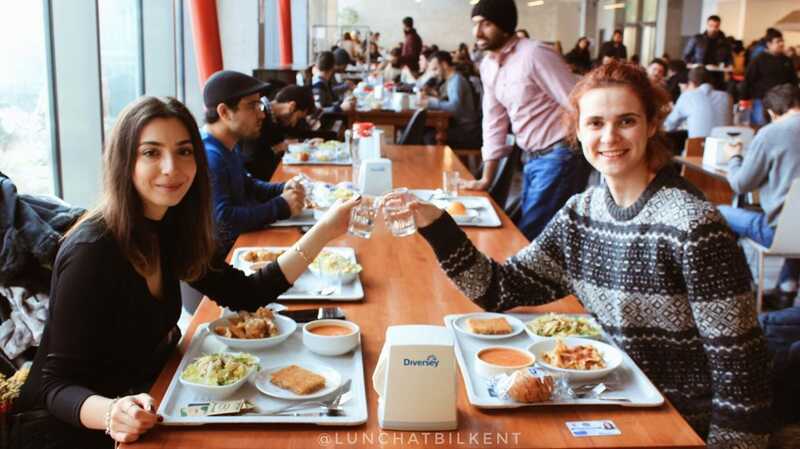 This time, they made some dishes served in Bilkent Campus legendary. We went to these places and tried these dishes just for you... Really, just for you. We weren't even hungry guys! ​"Normally, its name isn't Efsane (Legend), however students like it so much that we've decided to change its name. It's an original dish, you cannot find this anywhere else" told Chef Talat, aka Kepçeci. The perfect mixture of meat with curry and bechamel sauce and cheese. Yummy! There are two options: Efsane with chicken and Efsane with red meat. After getting your Efsane, you can choose either rice or fries or even side salad. If you're hungry, Efsane is highly recomended. ​We're Asude and Hande. This year, we're graduating from Translation and Interpretation department. Before we put an end to our academic journey in Bilkent, we've decided to leave you a legacy of food. It has been 5 years since we had our first lunch at Bilkent campus. In these 5 years, we've eaten a lot and gained experience. So, we've kinda become experts about the restaurants in campus. Besides giving you tips about where to eat and what to eat in campus at lunch break, we'll also mention the hot debates of price and quality of the food in restaurants. Now, we are going to have our lunch. Take care and keep on reading.